Größe dieser Vorschau: 530 × 769 Pixel. Weitere Auflösung: 165 × 240 Pixel. 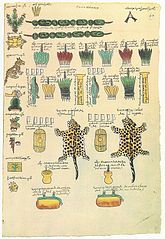 Folio 47r of the Codex Mendoza, a mid-16th century Aztec codex. 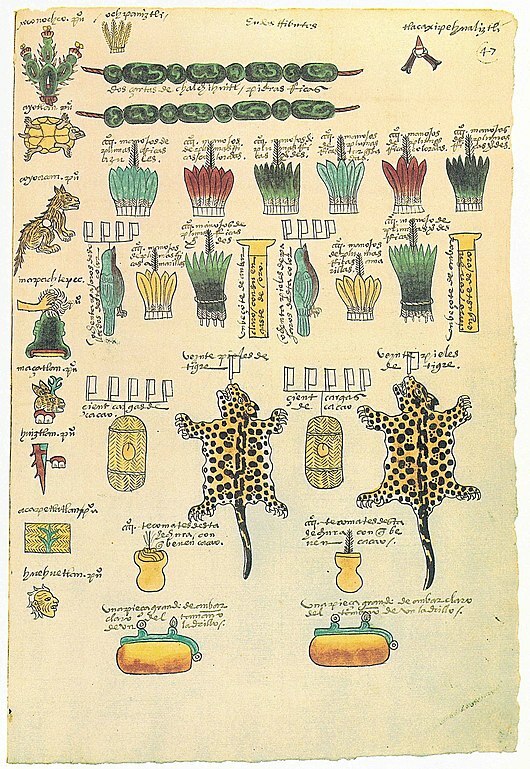 Lists the tribute towns were required to pay to the Aztec empire. aktuell 00:23, 24. Jun. 2009 2.521 × 3.658 (754 KB) El Comandante Better scan, from [http://www.mulino.it/edizioni/primopiano/foto/livi_bacci/livibacci_23.jpg Le edizioni del Mulino]'s website.